FEM's Global Mobility Rising Star of the Year in EMEA 2016 - Where Are They Now? We asked Andy King, Global Mobility Manager at tech start-up company Improbable, what really happens when you win the award for Global Mobility Rising Star of the Year as he did in 2016. What impact did winning the EMMAs have on your career? It really helped my visibility with senior management in the organization. What key industry changes have you noticed in 2018? The consolidation of providers, reduction in volume and generally a move to focus more on the Corporate travel/business travelers as a way to save on assignment costs. What did you think was going to happen as a result of winning the awards? And how did the reality differ? I thought it would help me gain more visibility from senior management with regards to mobility in our company, which I'm pleased to say it did. 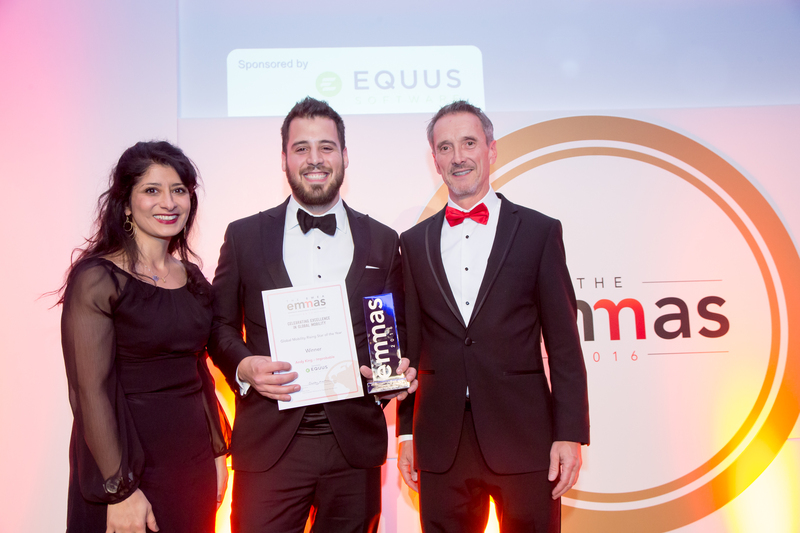 What was most valuable about attending the EMEA EMMAs? What piece of advice would you give current Global Mobility professionals? Mobility is a small industry and everyone is helpful. The more people you know, the more people you can ask seek for advice. Will we see you at the 2018 EMEA EMMAs? Yes, I'll definitely be there! The FEM is an integral part of the Mobility industry that allows us, the mobility specialists, the time to recognize our best as well as to continue to develop relationships with others in the industry. In 2017, Andy and Improbable won Global Mobility Team of the Year - Small Program, so to mark FEM's landmark 10-year anniversary, we've asked him back to co-present a Mobility Masterclass with Selina Jones-May, Group Director – Mobility and Global People Projects, WorleyParsons who in the same year won the EMMA for Global Mobility Team of the Year - Large Program. Don't miss the chance to hear Andy talk.